Gabion baskets come in all different shapes and sizes. 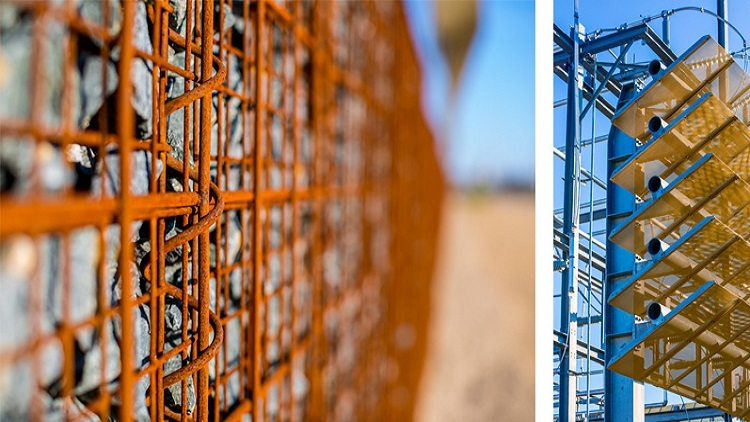 The benefit of constructing a gabion basket retaining wall is that baskets can be added to make the base of a wall thicker, therefore constructing larger gravity walls than typical segmental walls. Also, baskets can be used in a site fill application with geogrid reinforcement at each course. The baskets are filled typically with football sized rock, however there are endless possibilities for the design pattern of the stone and the type of material that that can be used. Many architects like the “industrial” feel and look of the gabion basket system. 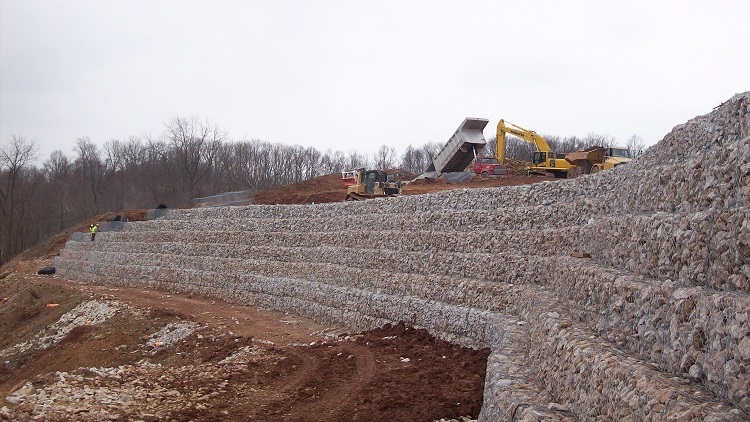 Gabion basket retaining walls can be designed to meet the site specifications of many different applications across the country.